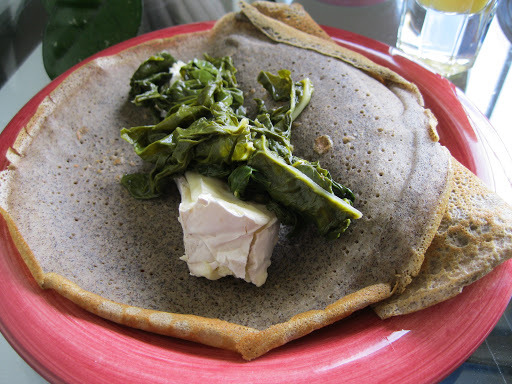 In keeping with the oath to further my cooking repertoire through “Culinary Risks”, I made buckwheat crepes on Sunday for brunch. Truth be told, I’ve never actually made crepes – I’ve ordered them, but never whipped up the batter myself. That all ended on Sunday. I’m officially converted to the open-ended possibilities of crepe fillings and this recipe (which I followed!) is simplistic genius. Although this is everyday-easy, it also has a WOW element and is a perfect offering for Mother’s Day. Foodie Note: Since only two of us were eating, we had extra batter. I poured it into a jar and stored in the fridge for a quick Monday night dinner. You can also make all the batter into crepes and warm up leftovers the next day. Both worked well. 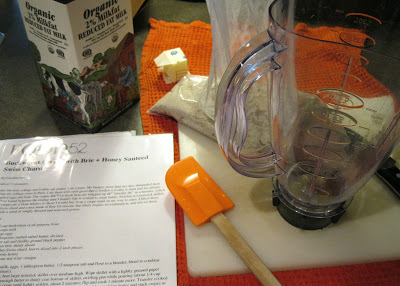 Find buckwheat flour in the bulk section of nicer grocery stores like Whole Foods. Adapted from Food52 and written by Caroline Wright. 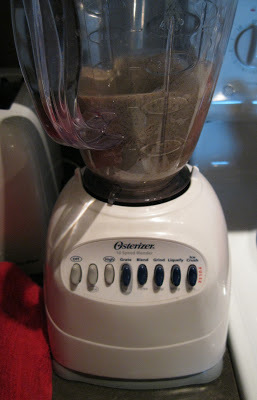 1) Combine flour, milk, eggs, 1 tablespoon butter and 1/2 teaspoon salt in a blender; blend to combine (about 1 minutes) scraping down sides if necessary. 2) Heat 1 tablespoon butter in a large skillet or cast iron pan to medium heat. 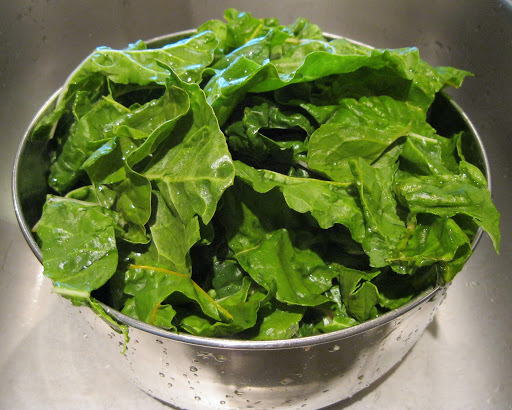 Add chard, season with salt and pepper, cook, tossing until endive is tender, about 5 minutes. Stir in honey and vinegar. You may need to cook in batches if your pan isn’t big enough. Keep chard warm while cooking crepes. 3) Heat a large nonstick skillet over medium high. Wipe skillet with a lightly greased paper towel. Add enough batter to thinly coat bottom of skillet, swirling pan while pouring (about 1/4 cup batter). 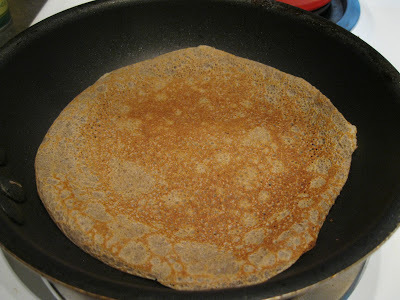 Cook crepe until lightly golden, about 2 minutes; flip and cook 1 minute more. Transfer cooked crepe to a plate and cover with a clean kitchen towel. Repeat with remaining batter and stack crepes as they are cooked. Alternatively, you can hold them in a warm (200*F) oven while cooking remaining crepes. 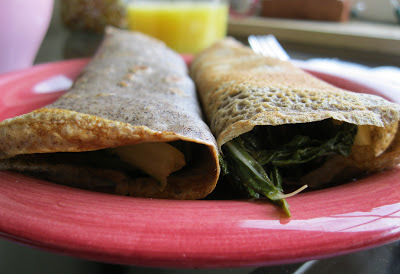 4) To assemble crepes, layer slices of brie and a small mound of cooked chard in the center of each crepe. Fold into thirds and serve.